The Texas Asian Republican Assembly of Austin is having a meeting Nov. 7th, 2017 at Sherlock’s Baker St. Pub, 9012 Research Blvd. at 6:30 PM, with State Rep. Tony Dale. Representative Tony Dale was first elected to Texas House of Representatives in 2012. He is the Vice Chairman of the House Committee on Juvenile Justice & Family Issues and a member of the Environmental Regulation Committee. 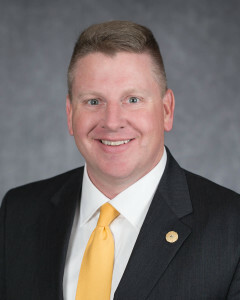 He is a former member of the Energy Resources Committee, the Homeland Security & Public Safety Committee, the Local and Consent Calendars Committee and the House Select Committee on Child Protection. Tony also serves as the Chairman of the House Energy Caucus. He was named a 2013 and 2015 Courageous Conservative by the Texas Conservative Coalition and was awarded the 2013 Lone Star Conservative Award by the Texas Conservative Roundtable. In 2013 and 2015 the Texas Association of Business gave him their top award of Champion For Free Enterprise. He is A Rated by the Concerned Women For America for his voting record in the 83rd Legislative Session. The American Conservative Union named him a 2013 “ACU Conservative”. In 2013 The Combined Law Enforcement of Texas awarded Tony the Freshman of the Year Award and in 2015 they named him, “Best of the House”. The readers of the Hill Country News newspaper honored Tony by naming him the Best Elected Official in 2016, 2015 and 2013 and runner-up in 2014.